Frank Castello passed away on Jun 22, 2018. Visitation will be held at Queen of the Holy Rosary Catholic Church on Monday, June 25, 2018 from 4:00-7:00PM. Rosary will be recited at 7:00PM. Funeral Services will be Held on Tuesday, June 26, 2018 at 2:00 pm at the Queen of the Holy Rosary Catholic Church. Interment will follow at Queen of the Holy Rosary Catholic Cemetery. Frank was born January 31, 1935 in San Antonio to Alice Hobbs Castello. Frank was a very loving husband to his wife, Cindy Lueders Castello. He was very outgoing and never met a stranger. He loved to travel and go hunting. 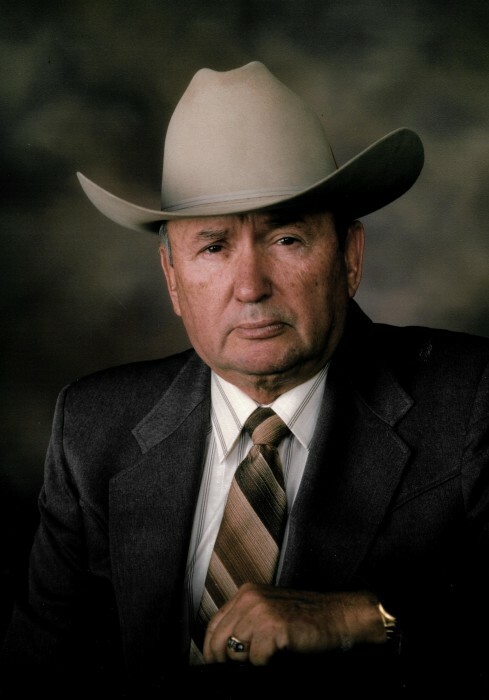 Frank was a life member of the N.R.A., held a Master Peace Officer certificate, member of United F.F.A., the San Antonio Jaycees, La Grange Rotary Club, Schulenburg Hermann Sons, Hostyn K.J.T., La Grange Knights of Columbus, Helotes Optimist Club, and The Holy Rosary Catholic Church. He was a judge for the Terilunga chili cookoff, deputy constable for Fayette County, and a baliff at the La Grange court house. He was a motorcycle police officer for the city of San Antonio. Frank was an official timer at many track and field events throughout the United States. He was also a contractor for the Texas and Idaho Highway department. Frank is survived by wife Cindy; son Michael Castello and his wife Kathleen; daughter Deborah Williams; son Mark Castello and his wife Stephanie; mother-in-law Estella Lueders; sister-in-law Connie Jakobeit and husband Albert; brother-in-law Clinton Lueders Jr.; 5 grandchildren: Jacque, Mitchell, Melina, Heather, and Hailey; 2 nephews;1 niece and his dogs Bailey and Snoopy. He was preceded in death by his parents, grandparents, 2 nephews and a sister. The family suggests memorial donations be made to the NRA(https://donate.nra.org/donate); The Gardenia E Janssen Animal Shelter, 240 Svoboda Ln, La Grange, TX 78945; The Queen of the Holy Rosary Catholic Church in Hostyn or the charity of one’s choice.